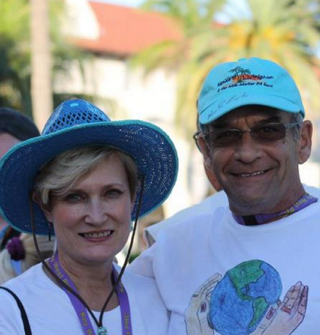 Pamela Campbell and Steve “Koz” Koslowski are natives of Ortonville, Michigan. Koz was a new construction plumber for 32 years. In February 2006, new home construction in Michigan was at a standstill, and Pamela encouraged Koz to spend two months at their leased home in Jamaica. This was the first time in his life that Steve had left their home town for more than two weeks. Inspired by the vivid tropical colors, the sun and the sea, Koz began to paint “fun fish” on scrub brushes to clean the stone steps leading down to the sea. Our landlord and friend, Annabella Proudlock, discovered these brushes during her morning swim in the sea and told Koz, “I could sell these brushes in the gallery, and you could pay your rent with the money”. Annabella Proudlock is a renowned Jamaican artist and the owner of Harmony Hall art gallery. Koz began painting brushes with the intention of selling the brushes in the gallery. Later that month, the Jamaican Georgian Society (a group of people for the preservation of Georgian style architecture) invited Koz on a trip which included a visit to the Swift-Purscell Boys’ Home. Koz was immediately struck by the devastation to the home by a recent hurricane, and he knew he had to do something for these boys. Within a few days, Koz began selling his brushes to raise money for the boys. Artist Koz began painting tropical “fun fish” on various wooden items- scrub brushes, hammers, toilet plungers, trinket boxes, grill sets, garden sets, etc. to raise money. He began selling these items in both Jamaica and the U.S. He had immediate success and was invited to participate as an Artist at the Harmony Hall art gallery during an art exhibition in March 2007. Two prominent artists at the exhibition recognized his artistic ability and suggested that he begin painting on canvas. He took their advice and within six months his paintings were on display at Harmony Hall beside the works of famous Jamaican artists. In 2009, Koz decided to take his whimsical fish to another tropical paradise, Key West. We opened Green World Gallery on October 22, 2009. Here at Green World Gallery, his canvases explode with vibrant colors as he portrays fish, sea horses, crabs, mermaids, reef life and palm trees. He is recognized by the “fun” that he creates in his art and the “smiles” that he brings to those that view it. 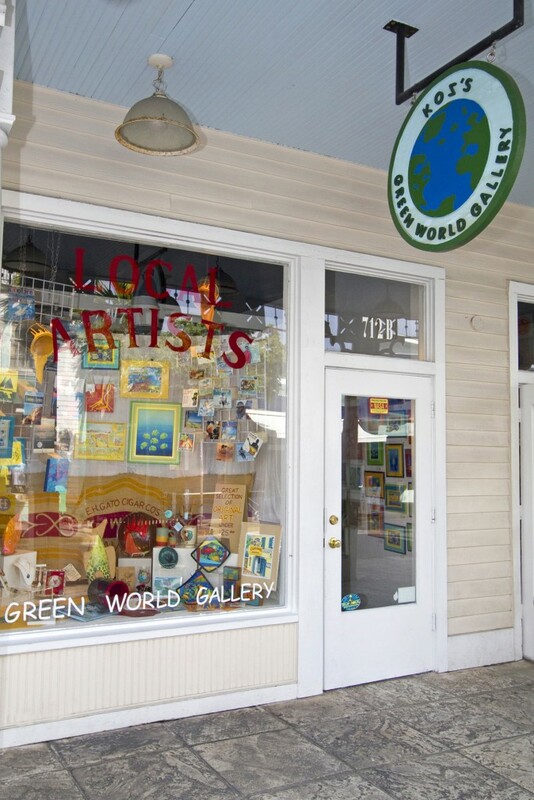 Green World Gallery is the home to many local artists and their mediums– paintings, photography, collages, fabric designs, sculpture, pottery, books, apparel and music. We offer the largest selection of Tropical Rock (Trop Rock) music CDs in the world, carrying the music of over 115 individual artists. Our mission is to expand the enjoyment of tropical art and music around the world by promoting local Key West artists. We offer an exclusive Trop Rock venue that enables Trop Rock artists from across the country to tell their stories, sing their songs and perform live and on the web via the Koz Cam. The heart and soul of our business is charitable giving and community support.